The Kubb Game is a well known lawn and beach game not only in Sweden, but throughout Europe. Your goal is to be the first team to knock down all of the kubbs, plus the king, but be careful; knock down the king before all the kubbs are down and you lose! Made of rubberwood, this game will bring your family and friends years of enjoyment! 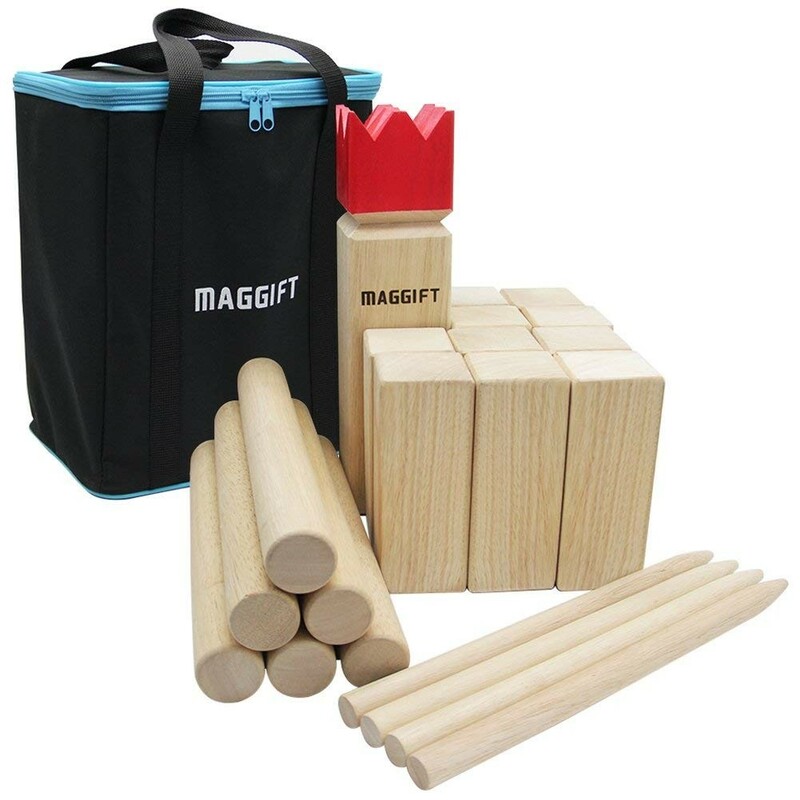 This Kubb game includes a King with a red crown, 10 Kubb blocks, 6 Kubb tossing dowels, 4 corner pegs, a carrying bag, and a rule book.